As you might know, October is Breast Cancer Awareness Month, and to support that and raise awareness, I decided to do a mani using the signature color, pink! Normally I'm not the biggest fan of skittle manis, I love them on other people but not on myself. With this one, however, it's different: I really love it! It incorporates stripes, polka dots and all these things :) I also painted on the little ribbon! What do you think of this mani? And did you already sport a pink shade to support Breast Cancer Awareness Month? I haven't worn pink in a while. Let's see if I can find the time to do something nice too. Very nice designs! 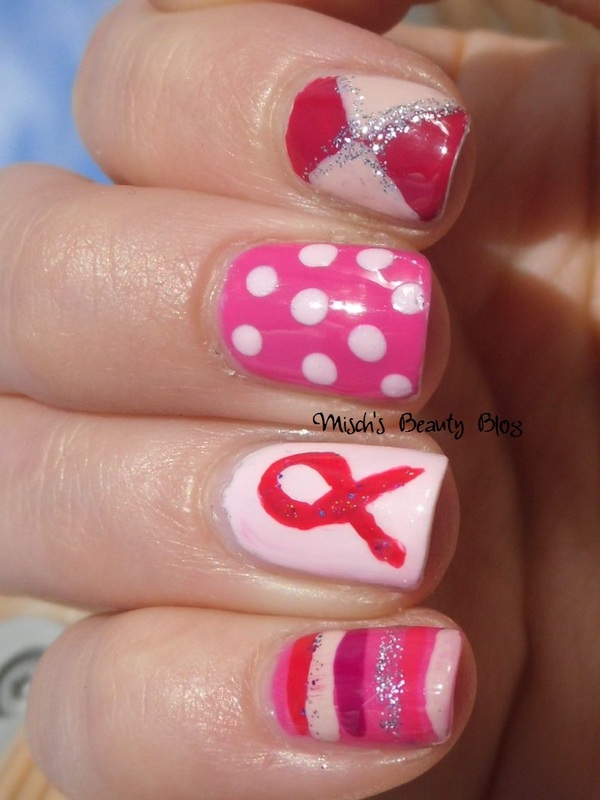 I really really like those colors most especially that it is designed to make everyone be more aware of cancer. My cancer alternative treatment center likes this so much.